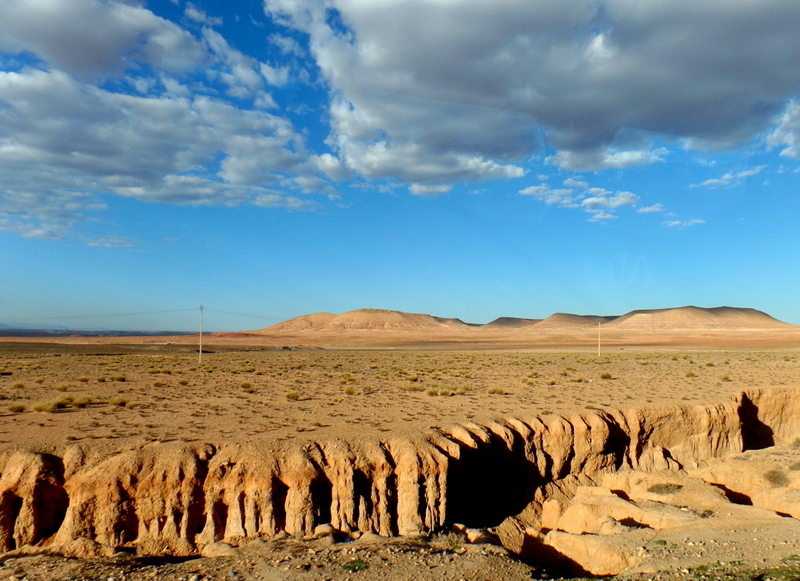 The landscapes we saw on the drive down to SE Morocco were amazing! Thomas and I returned yesterday from a five day trip to where we will live as of April 2nd. The seven hour bus ride from the north to the south took us through the Atlas Mountains, oases, and areas that looked truly otherworldly. 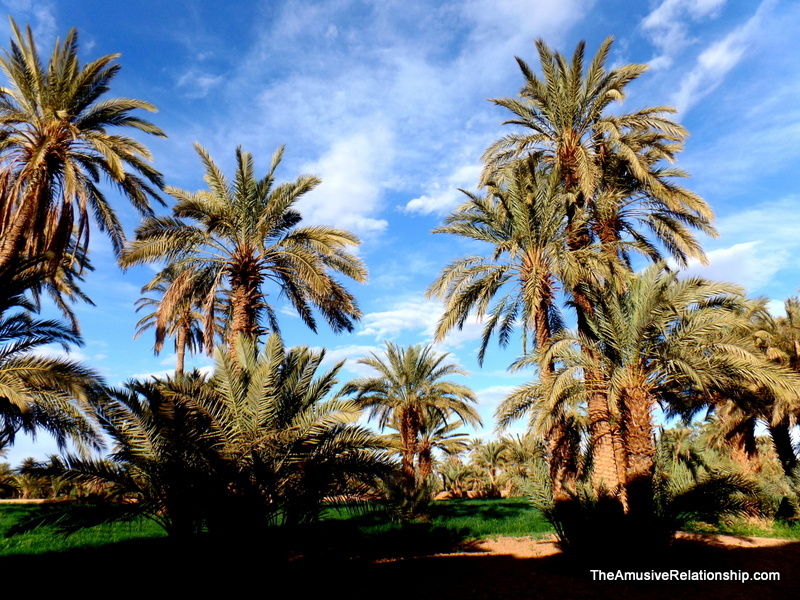 Oh, how gorgeous and diverse the landscape of Morocco is! When we finally arrived in our town (along with a third trainee, the lovely Noa Harris, who will also live in the area), I was pleased to see there was some green vegetation, although this greenness will likely disappear now that the winter rains are pretty much over. Southeast Morocco had much more precipitation this year than is typical, so many areas currently look quite green. But most years it rains an average of three times. A year. I’ll give you all a moment to think on that. 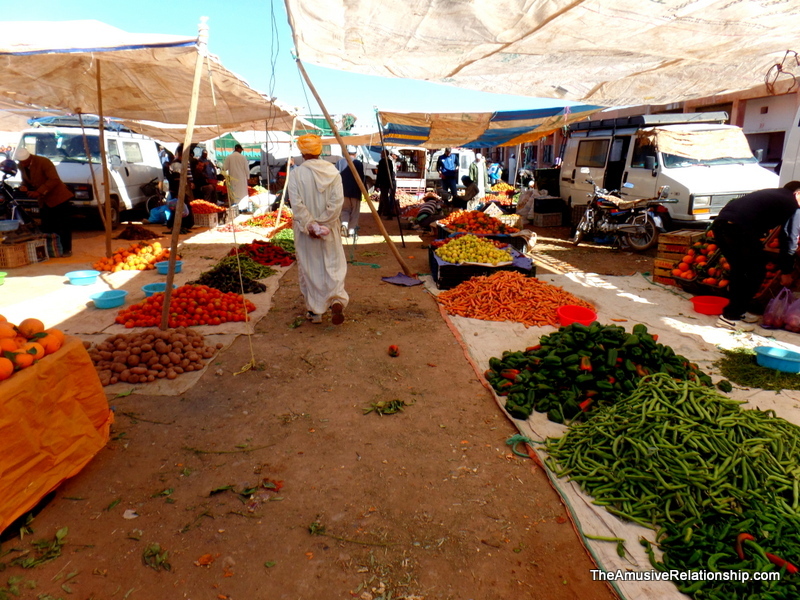 However, despite the southeast being generally quite dry, there is no issue with getting the fruits, vegetables and other things that are grown throughout Morocco. On Sunday we went to the weekly souk (open market) and were dazzled by all the different fruits and vegetables (and spices, and olives, and fish, and nuts…) that were available. And we learned that our town’s souk is the main one in the region, so it is very large and busy, which pleased me greatly! At the Sunday souk–can’t wait to start cooking! The time we spent in our town was quite fruitful, both in terms of getting to know the layout of the place and also meeting local people who we will partner with for work projects. We had the great fortune to have a current PCV, Waldemar, take us all over the area and introduce is to the community. Waldemar finishes his PC service in mid-April, and I feel very lucky to have him as a resource before he leaves. Everyone we encountered was extremely welcoming and lovely and we really like the people we are staying with while we look for our own place. Rachid (early 30s) is a wonderful artist who has exhibited his work in all the big cities of Morocco, as well as in Spain. His wife, Nadia (age 28), is extremely sweet, and also quite eager to learn English in exchange for helping us continue to learn Darija. They have three children, ages one year, three years and seven years. 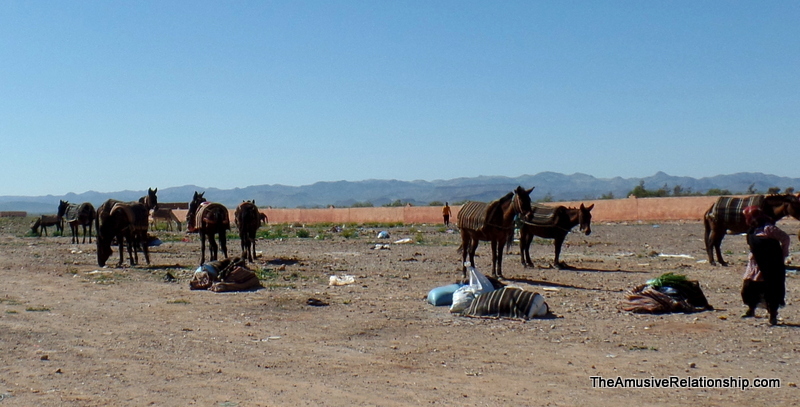 Horses, donkeys and camels are all present in the area, but we have not yet seen the camels! 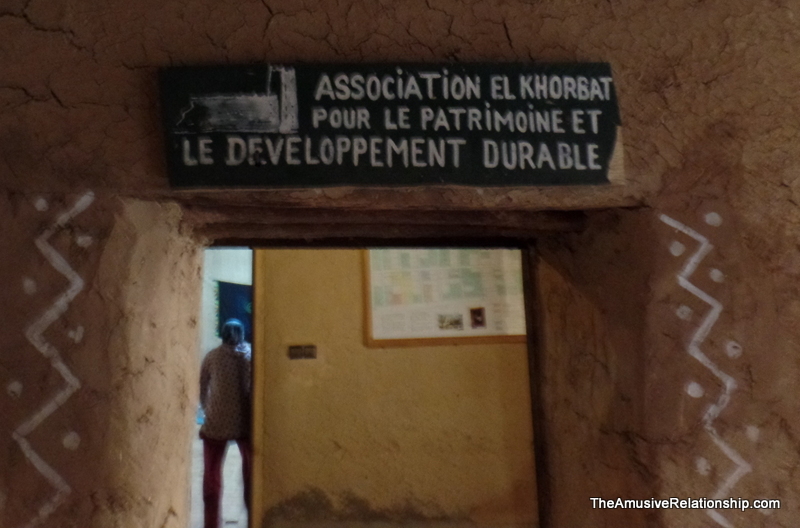 The culture of this region is quite different from that of northern Morocco. The people are primarily Amazight, not Arab, and their primary language is Tamazight, not Darija. Waldemar shared that we will need to learn at least basic Tam, as many of people we will work with won’t speak much, if any, Darija. View of our new town! In addition to the cultural differences, I also quickly recognized that there is much less tourism in this area of Morocco, and it’s economically poorer than in the north. From what Waldemar shared, people in the southeast have a strong work ethic, and I sense there is deep interdependency among community members to ensure that everyone in the community has what they need to survive. There is also an openness to visitors and new community members that was quite lovely to experience. As we were walking through various neighborhoods, Thomas and I passed a family who was in front of their home and they invited us to come in for lunch. On another occasion a man stopped us on the street to give us handfuls of roasted carob seeds. So, all in all, it was a great trip and we are now even more eager to finish up the last days of training and be ‘sworn in’ as volunteers. From what Rachid and Waldemar shared, it should be easy to find a place to rent, and we are very (very, very!!) ready to find and establish our own home. I have already promised Thomas I will make him some milwi b blasa (onion stuffed bread) to christen our place once we find it.